On this episode talked about curfews and vacations. Do you expect your partner to be home when you get home? Should your partner have a set time to come home when going out? 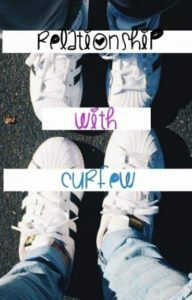 have you and your partner discussed curfews? Why or why not? What about Vacations? Do you and your partner take separate vacays? Like a girls trip or boys trip? If not, is it because you don’t trust your partner or do you feel it’s just not necessary? Share some of your thoughts in the comments below….